Losing any type of key is might frustration. But when they are the keys to your house, the panic bells ring on another level. If this has happened to you before you'll know exactly what it feels like. If it's happened to you multiple times before, you'd probably consider it of vital importance to come up with a handy way of resolving the issue in future. Losing your keys can lead to desperately needing lock changes, home lockout disasters and huge inconveniences. Here are a few of the most sensible measure you can take if this occurrence is a major fear of yours. This is a drastic step to take, but a most effective one. If keys are the issue, why not get rid of them entirely? Have keypad locks fitted to you front door, back door and all other entrances for great security and maximum protection against key loss. You’ll need the help of a locksmith to install them, but once they are up, you’ll never have to worry about misplacing your house keys ever again. Master key systems have all kinds of safety measure applications, one of them is knowing you can access any door in your property with one key should you lose the original. It's a great way to reassure yourself that there is a solution in place if things go wrong with the independent keys. It's also a great way to ensure certain members of your family have access to all rooms in the house, even if they are locked by someone else. Master key systems take specialist expertise to install, so it's not simply a case of going out to buy one. Most locksmiths will have the knowledge required or be able to refer you to a specialist. Instead of panicking to find a lock or key replacement when the original goes missing, why not prepare for the eventuality by having loads of spare keys made. You can store them in various places to ensure you always have access to a spare set. It can be hugely beneficial to make spare sets of all your keys. 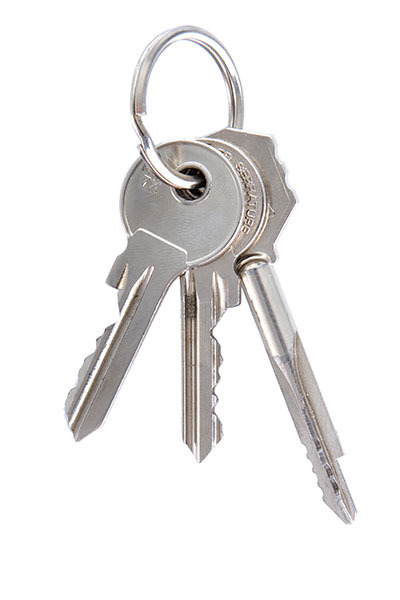 Car keys, home keys and those for outbuildings can all be lost, damaged or stolen. By having spares you have that peace of mind knowing there is an immediate course of action in place should anything happen to current piece in use.